Organizing workshop is a regular initiative of AIUB to strengthen students’ skills and aptitude for learning. 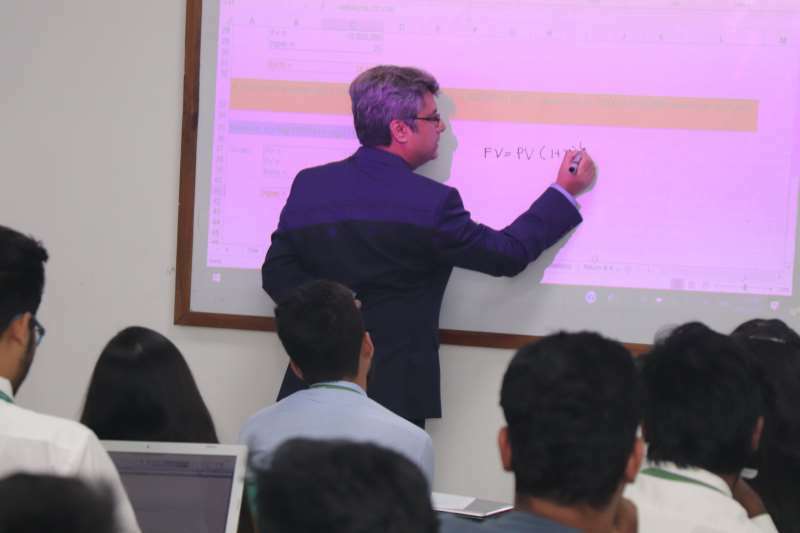 On February 19, 2019 Department of Finance successfully organized a workshop on financial decision-making using MS Excel at Annex 3, Room No. 3208. 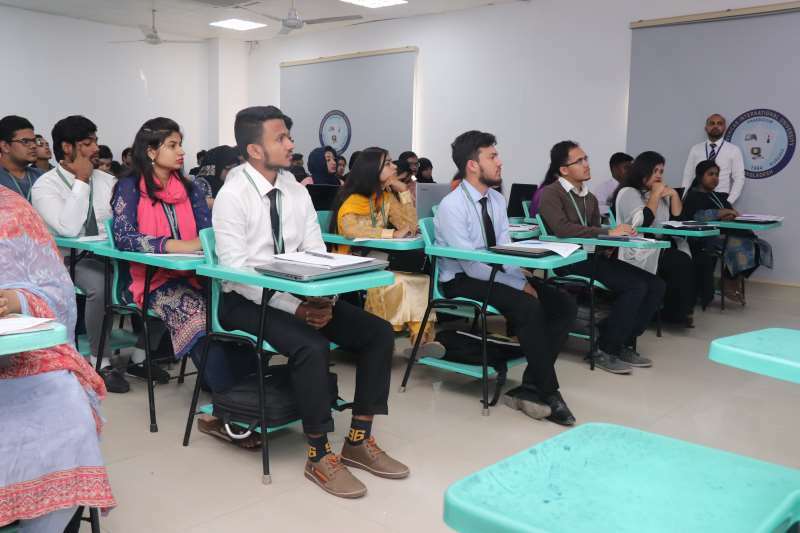 The day-long workshop was conducted by Mr. Mahmood Taseen Chowdhury, Director, Project Management, Development Design Consultants Limited. 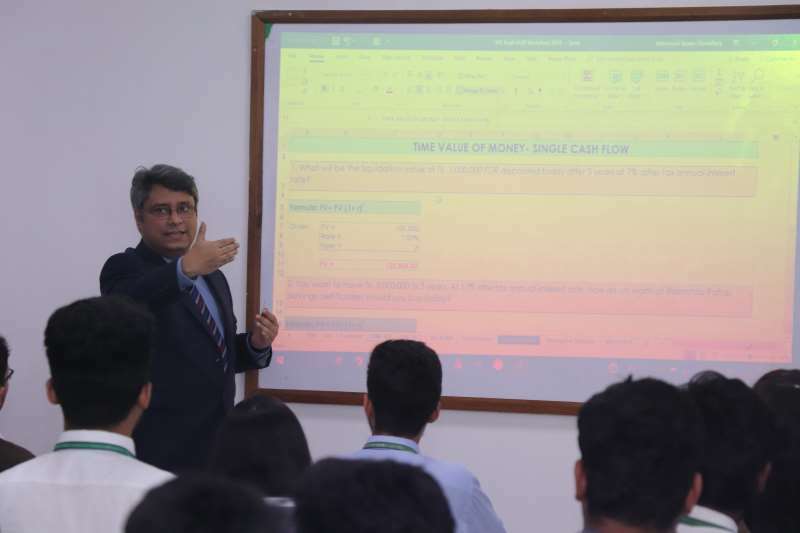 This development workshop was designed to demonstrate the various techniques of using MS Excel for financial decision making and enhance the competence of the student of the university in making a more stimulating and effective use of financial software. The session was inaugurated by Professor Dr. Nisar Ahmed; Director of MBA Program with an inspiring welcome speech. Regression Analysis to understand which among the independent variables are related to the dependent variable, and to explore the forms of these relationships. 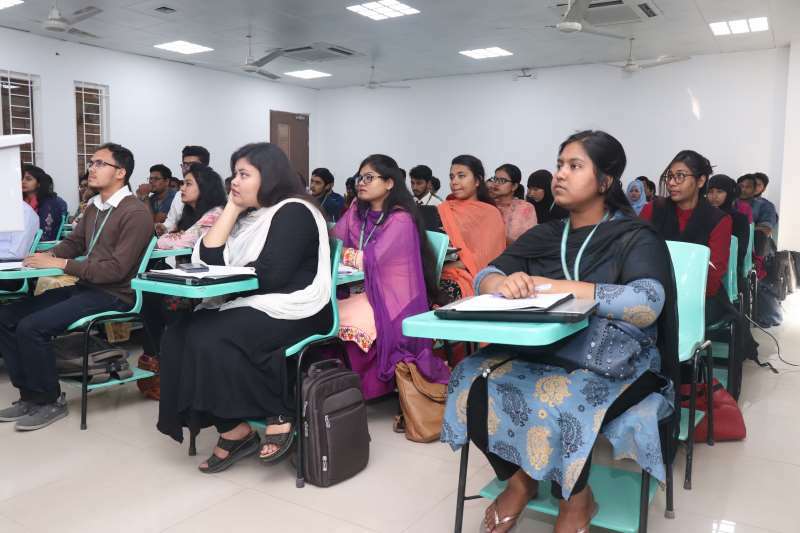 A total of seventy-five students participated in the workshop. 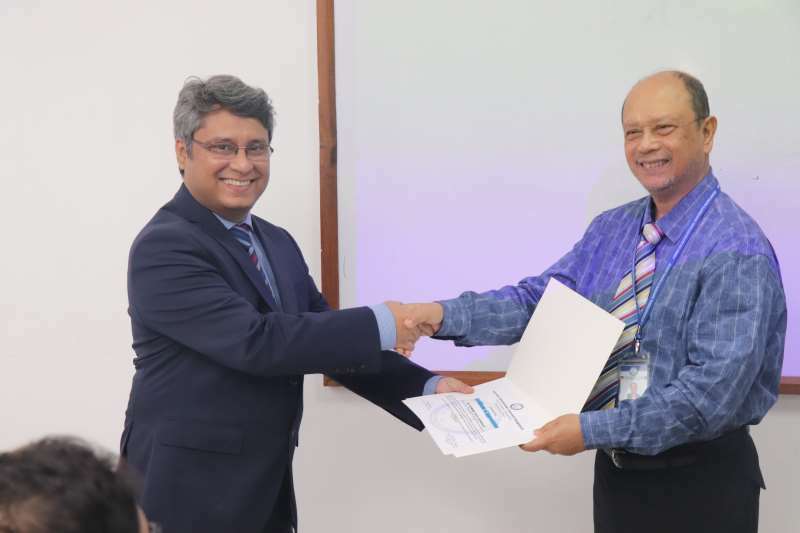 At the end of the program, Professor Dr. Charles C. Villanueva, Vice President, Academics and Dean Faculty of Business Administration expressed his vote of thanks to the guest speaker and presented with Certificate of Appreciation. The concluding session was further decorated with kind presence of Ms. Farheen Hassan, Director, BBA Program, Mr. Md. 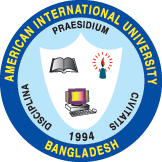 Faridul Alam, Head, Department of Accounting and other distinguished faculty members. The workshop was organized by Mr. Md. Joynal Abedin, Assistant Professor, Department of Finance of FBA. The Department of Finance, Faculty of Business Administration gratefully acknowledges the open-handed support given by AIUB Management to make the event successful.